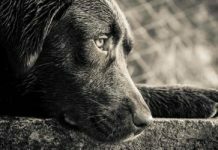 Knowing the signs of cancer in dogs can help you as an owner to catch it early. 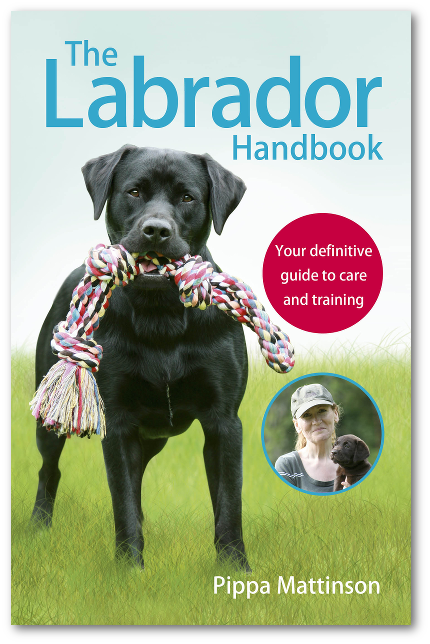 It can also help you understand the information your veterinarian is giving you and how he or she is making this diagnosis. Unfortunately, sometimes it’s the diagnosis every dog owner dreads: Cancer. Yet the truth is, a “head in sand” approach does the dog no favors. 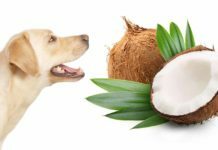 Never ignore any signs of cancer in dogs. It gives the vet the best options for treatment. Undertaken early, cancer therapy is often more successful and less invasive. Delaying a diagnosis can mean a poorer long-term outlook. 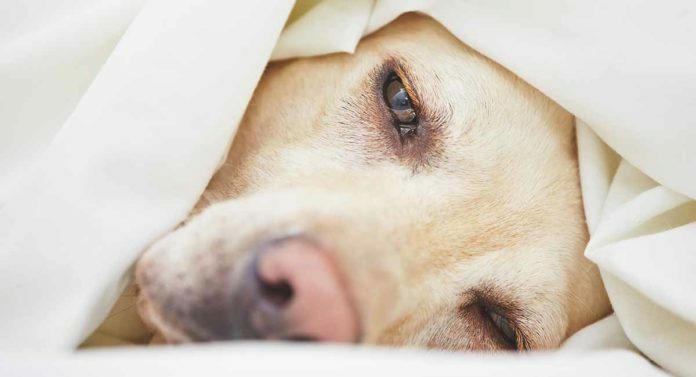 But what are the signs of cancer in dogs? How do you spot this worrying disease? 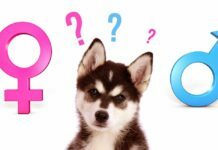 What is ‘Cancer in Dogs’? We tend to hear the word cancer and think of solid tumors. These are lumps that form as a result of the excessive growth of one cell type. The type of tumor is a reflection of the parent tissue from which it grew. Any part of the body can become cancerous, such as soft tissue, nerves, bone, or even fluids such as blood or the white cells that fight infection. 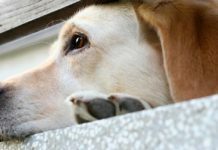 So if cancer can affect any body tissue, what are the signs of cancer in dogs? What do you look for as an early warning? As a responsible owner, your job is to spot when something isn’t right with the dog. Don’t worry about making the diagnosis (more of this at the end of this article) as this is the vet’s job. Know that small clues can be important. But likewise, these signs are just pointers—a dog losing weight doesn’t mean he has cancer. He may simply have a sore tooth that makes it painful to eat. Check your dog weekly for new lumps or bumps. Get all new lumps checked by your vet. If the lump is big enough, the vet can harvest a small sample of cells with a needle and send this off to the lab to be checked. Perhaps your dog already has lots of lumps that aren’t troublesome. To be on the safe side, take a photo of each one and measure it. Recheck each lump monthly. Be alert for rapid growth, changes of shape, irritation or inflammation. See a vet immediately if anything changes. Cancer in dogs is just one cause of weight loss. Other common reasons include bad teeth, a poor diet, kidney problems, liver disease or gut problems. What these problems all have in common is they all need looking into, so visit the vet. In a senior that starts vomiting, your first thought might be stomach cancer in dogs. But this is quite rare. Stomach upsets can quickly lead to dehydration. Regardless of the cause, a checkup is needed. Jaundice refers to the abnormal yellow coloration of the gums, eyes and skin as a result of a buildup of bile pigments. It’s alarming to notice your dog has turned yellow, and this can be a symptom of liver cancer in dogs. Many of these conditions have a treatment. Jaundice is potentially serious and can indicate cancer, but don’t jump to conclusions. Instead get the dog checked by a vet. Another vague clue, lethargy can be a sign of cancer in dogs. Cancer can sap energy and make a dog feel unwell. He may lose interest in walks and tire more easily. Again, there are other explanations such as arthritis, infection or heart disease. Watch the dog carefully, including checking his urine and feces. Be alert for signs such as the dog drinking more and eating less. Giving the vet as much information as possible helps him or her reach a diagnosis more swiftly. Unsurprisingly, lameness is one of the main symptoms of bone cancer in dogs. This is usually a severe lameness, where the dog cries in distress if you try to touch the sore place. Bone cancer is also accompanied by a lot of swelling. Red flag signs include severe lameness, swelling and character change. 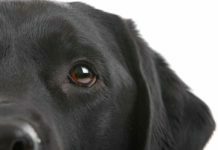 Primary lung cancer is rare in dogs, but they can suffer from metastasis. The latter refers to satellite tumors that seed off a main tumor located elsewhere in the body. Be alert for coughing as one of the symptoms of lung cancer in dogs, but look for other clues. The primary tumor might also create signs such as increased thirst, weight loss or diarrhea. Dog prostate cancer signs most commonly involve straining to pass urine or feces, and pain. You might notice this as the dog taking a long time to pee and then passing bloody urine. Be aware that prostate enlargement due to male hormones has similar signs. 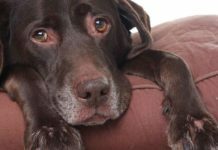 The difference between the two is prostate cancer in dogs is difficult to treat, whereas hormonal enlargement responds well to a variety of therapies. Cancer affecting the immune system sometimes shows up as swollen lymph nodes. Lymph nodes are the paired glands (one on the left, the other on the right hand side) that police the immune system. Tonsils are an example of lymph nodes. If you notice a swelling in these areas, especially if there is a matching lump on the other side, see a vet immediately. Wouldn’t it be handy if cancer came attached to a big pointy arrow to highlight the problem? Indeed, there’s no single blood test that gives a yes/no answer about whether a dog has cancer. It’s a matter of stringing clues together. When your vet is suspicious of cancer, he or she will undertake a raft of tests. These tests start wide-ranging and narrow down as the clues assemble. For example, a screening blood test may show the dog has raised liver enzymes. A scan of the liver shows an abnormal shadow suggestive of a swelling. The vet then biopsies the lump and sends the sample for histology. By looking at the specific cells present, a definitive diagnosis is made. Each step is vital in its own way, but only the final test gives a definite answer. Cancer is a diagnosis no owner wants. But spotting it early can be life-saving. Given the vague nature of signs of cancer in dogs, if you feel something’s wrong, respect this. Better a wasted trip to the vet than miss an early diagnosis and the chance to be in a strong position.